The TL-WA860RE is designed to conveniently extend the coverage and improve the signal strength of an existing wireless network to eliminate �dead zones�, help users maintain an existing wireless network and vastly improve the network�s coverage. With 300Mbps wireless 802.11n speeds, it is ideal for smooth HD video, music streaming and online gaming. 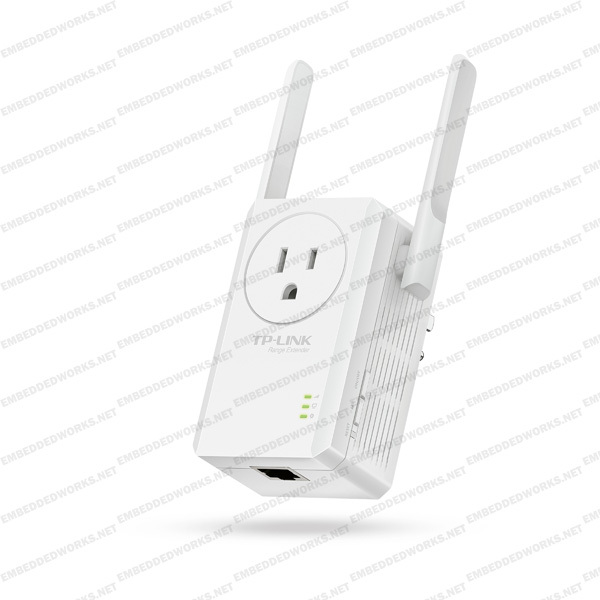 What's more, its Ethernet port allows the TL-WA860RE to act as a wireless adapter to turn a wired device into a wireless one.